After obtaining a First Class Honours Degree in Fashion and Textiles Sue worked in the fashion industry for 20 years; in London, Paris and Italy as well as undertaking various projects in the Far East. The work included designing textiles and colour forecasting as well as designing and running fashion shows and exhibitions. Her wide spectrum of abilities within the design field were easily transposed into the Interior Design Industry when she set up Sue Dann Interiors in 1998 after completing an Interior Design course at the KLC School of Interior Design in London. Since setting up Sue Dann Interiors, Sue has undertaken many projects including complete renovations and redecoration of listed properties in Bucks. Surrey and Somerset as well as many Hotel projects around the country.The company was founded in 1998 in Buckinghamshire and serviced the Home Counties and London for seven years. After a move to Bath in 2005 we have undertaken many projects in Somerset and Wiltshire. Are you restyling your home, kitchen, hotel or restaurant – or just looking for that one lamp or rug to finish off your own scheme – we can help. We offer a complete Interior Design service to domestic and commercial clients. 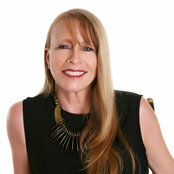 Sue Dann Interiors is a BIID recognised Interior Design practice established for 19 years led by a professional and creative designer with over 38 years design experience. We can help with large or smaller projects including complete renovations and refurbishments. We can provide you with scale floor plans, elevations, lighting plans, and help you coordinate your works. If your project is purely decorative we can develop design schemes and provide all the elements required from wall coverings to soft furnishings to flooring and lighting.